Rev. 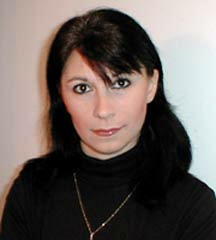 Michielle “Michi” DJ Beck has worked as a freelance writer and editor since 1994. She is a Contributing Writer for Suite101 where she has been able to explore many different topics with her writing. During her career she has written on a myriad of subjects including economics, technology, local happenings, new products, medicine, spirituality, philosophy, home design, customer relationship management, marketing, pets, holidays, and human interest stories. I grew up in the desert Southwest, and have loved writing ever since I was old enough to do it. 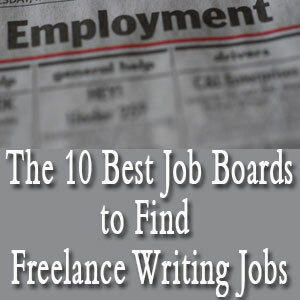 In 1994 I started freelancing for local newspapers, and once I realized I really could get paid to do what I loved I branched out to writing for clients on the Internet. Now I write for some content sites, but I do most of my work for private clients who find me through my blog or Web site. You’ve got a fiction and nonfiction book under your belt. Is there one you prefer? How tough was it to get representation for book? How long did it take and do you feel it’s been a positive experience so far? I can’t really say that I prefer one book over the other. They’re both so different and targeted to completely different audiences. As for representation, it actually wasn’t that difficult to get. I created a proposal for the non-fiction book and I sent it out to probably 25 or 30 literary agents. Some I never heard back from, others responded but declined. Fortunately, Faye Swetky at the Swetky Literary Agency liked what I had to say. I was offered a contract, and that agency now represents both of my books and will represent the books I write in the future – most of which are running around in my head and on my computer at the moment. While publishers haven’t picked up my books yet, I believe they will. It just takes that one editor at that one publishing house to see the potential in the work. So far, the experience has been a good one and I’ve learned a lot from it. Faye’s been very helpful, and I have every confidence in her. It’s clear she cares about the authors she represents. Tell us about your novel, Draegan’s Redemption, which you describe in a sentence as a “reluctant Christian vampire” book. What do you hope readers take away from it? Draegan’s an interesting character. He was a highly-paid assassin, became a Christian, and then was turned into a vampire. He’s trapped in his body but he doesn’t want to live forever. He wants to move on so he can be reunited with the woman he fell in love with over 400 years ago, back when he was still fully human. He’s trying to redeem his soul so he can die and go to Heaven. In the process, he’s finding out that a lot of humanity needs saving, too. He’s trying to hold onto his own humanity, and he’s trying to redeem himself, but it’s difficult for him to hide what he is and he keeps getting sucked into human drama, as well as the drama of the undead community. And it’s not helping that the Vampire Council has decided he’s causing a problem and should be neutralized. I hope readers will enjoy the story. It’s not a dark horror novel or a vampire romance, and there’s a little bit of comedy in it. Draegan sees both the tragedy in his situation and the humor in some of what happens to him. Mostly, I hope readers take away the bigger message that anyone can find redemption, no matter what’s happened in their lives or what they’ve done. It’s never too late. In Sorry, I Thought I Loved You, you talk about co-dependency, relationship addiction, and other related conditions. How did you come to write about this subject? What drew you to it? Sorry is essentially a memoir. I’ve dealt with codependency and relationship addiction, as well as anxiety and depression, all my life. Unfortunately, not that many books have been written about relationship addiction. Most people don’t really understand it, or see how it can have such a strong impact on a person’s life, and the lives of the people that person interacts with. I know there are other people out there like me, and the only books I could find on the subject were very clinical. If I wasn’t getting what I needed from them, I figured other people probably weren’t, either. There’s nothing wrong with clinical information. It’s very important on a conceptual level, but I wanted to offer a first person account, to really drive home the point that this kind of problem is real. Just recently I’ve reworked the book, added and deleted some information, and worked with a therapist who added a foreword as well as his take on my story at the end of each chapter. Doing that has taken something that was almost completely autobiographical and turned it into a true self-help book on relationship addiction – I don’t know of another one like it. My agent’s going to be re-marketing it with the changes, so I’m very hopeful it’ll get picked up by a publisher, now that it provides help to a wider audience as opposed to just offering my story. Right now I’m in negotiations with a very large client for work that’ll keep me busy indefinitely. I’m still writing for other clients, though, and I’ll continue to do so. I’m also working on building up residual income. I can’t imagine ever ‘retiring’ from writing, but having the luxury of taking a break sometimes would be nice – and it would allow me to be a little more selective in what I write. I want to get more books completed, too. I have about a dozen book ideas right now so I’ll be working on them, getting them ready to go to my agent and be marketed to publishers. I don’t know that I could pin down one book as the most interesting. I read so many different kinds of things, both fiction and non-fiction, and I’m interested in a lot of different concepts and ideas. Books are also interesting for different reasons, so I’d have to categorize everything I’ve read and pick a winner in each category. That could take a while. I have a lot of favorite authors because I like so many different types of books. I’d have to say, off the top of my head: Stephen King, Terry Pratchett, Robert Fulghum, Janet Evanovich, and Laurell K. Hamilton. I also like Poe and Kafka. An old classic – A Farewell to Arms. Actually, I have no ritual at all. But I do generally write more in the evenings and at night. I stay up late and sleep in, and rarely get started writing anything serious before noon – unless I’m working on a tight deadline. Because of my anxiety and panic attacks I try to reduce the stress in my life as much as possible. Writing doesn’t stress me out, but if I get too much going on it can be overwhelming at times. Not having a set ritual keeps me from fretting over what I have to do at any certain time, and I’m still disciplined enough to get a lot done when I feel well. Thankfully, that’s most of the time anymore. I do believe in writer’s block. Years ago, as a joke, I had a big block of wood on the corner of my desk that actually said ‘writer’s block’ on it. If I’m stuck and can’t write I listen to music. That seems to get my imagination going and it really makes me happy. Music, like writing, is one of the greatest joys in my life. It wouldn’t work for everyone, but every writer has something he or she enjoys. It might be gardening, crocheting, shopping, dancing, or something else entirely. Whatever it is, do it for a little while and then go back to work. For the rare times that music doesn’t help me get through my writer’s block I just have to push through it, especially if I’m writing to a deadline. During those times I just keep writing. It might not come out the best way but it’s still words on the computer screen, and I can always go back and edit it later. Eventually, that block will disappear and the work I produce will be back to the quality I strive for, but it can be a real struggle for a while. Happiness. You have to love what you’re doing. Getting paid is important, of course, especially if you don’t have another job and you’re trying to make it full-time as a freelancer. But at the end of the day you have to be able to feel satisfied with what you’re doing. Too many people (whether they’re writers or not) aren’t really living. They’re just going through the motions and there’s no real happiness and satisfaction there. I don’t want that kind of life for myself. I want to make money, sure, but I also want to be proud of what I do and who I am. Being a writer helps to give me that – so I know it’s the right thing for me. Giving up is not an option. I was rejected by more than 20 literary agents before I found one who believed in the marketability of my work. I’ve had many, many publishers look at what I’ve written and none of them have bought it – yet. Do I think one of them will? Yes! Absolutely I do. I know I write well and what I have to say has value. Others see that, too, or I wouldn’t have been able to make a good living as a writer for this long. Sometimes it’s difficult to get published by a major house, even with an agent, but I know it’s coming. If you really want to be a writer you have to expect rejection, and a lot of it. You either learn to shrug it off, or you stop writing. Stopping writing, to me, would be like stopping breathing. I don’t know how to do that, and can’t imagine why I would want to. Whether you’re just starting out or you’ve been doing it for a long time, if writing matters to you it’s important that you continue to write, continue to network, and continue to work on your craft. You should never let go of your dreams. A have a website and a blog where people can learn about me and get in touch. 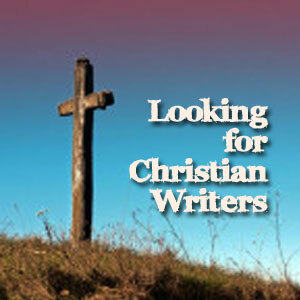 Anyone who’s interested in hiring me for writing or editing can reach me through the contact form on the Web site. If they’re interested in the books or anything I’ve written for content sites like Suite101 and eHow, links to those are on my Web site, as well. I’m pretty easy to find, and always interested in meeting new people and working with new clients. People should feel free to get in touch. Be the first to comment on "Interview: Michielle DJ Beck"